How can I import payee from file? In main windows, click "Payee List". Click the icon to to load "Payee Import" window. Click the "Browse" button locate your file to import. Please ensure your file is follow the specific format. You can download the sample import file by clicking on the "Click here to download Sample Import File". How to retieve cheque records from an account? How to create cheque template? How to Create User Login? How to customize the Payment Voucher? 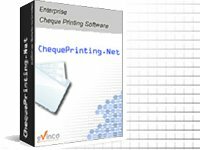 Where to download cheque template? Need help in create cheque template? How can I import cheques from file? Can I store the Payee information? How to retieve all the cheque records for a payee? How to prepare a cheque? How to print a cheque? Copyright © 2019 Evinco Solutions Limited.